Aeon Switch 6 offers a better, connected and intelligent solution for controlling any electronic device in your home. The plug-and-play Smart Switch 6 can be inserted into any wall power outlet in your home to make it instantly smarter. Appliances connected with the smart plug can then be conveniently controlled via your Z-Wave home automation gateway, remote control or even your smartphone. Devices that are connected to the smart plug can also be scheduled to automatically turn on or off based on your interactions with them. Want to automatically turn off your microwave? Or, want to remotely turn on your air-conditioner while you're still on your way home? 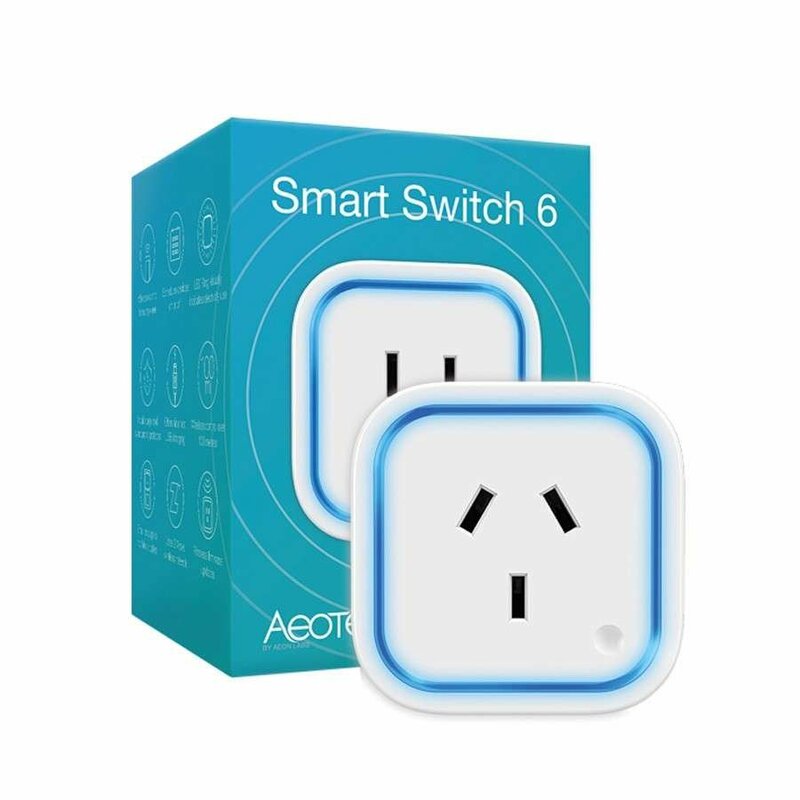 Aeon Switch 6 is an intelligent plug that allows you to extend your home automation network to run schedules and remotely control any device in your home. Apart from running automated schedules, Smart Switch 6 comes powered by world-class energy monitoring technology that allows you to beautifully track your energy usage and monitor activity in real-time. The innovative monitoring technology helps you in better understanding your energy consumption and brings down your electricity bills. The Smart Switch 6 can be used to power devices that draw up to 10A power. It comes with built-in surge and over-current protection that ensures that the connected electronic device is never overpowered and is always safe to use. Smart Switch 6 doesn’t just visually communicate how much electricity you’re using, it also reports it back to your Z-Wave gateway in real-time. From anywhere in the world you’ll be able to see which devices are turned on and how much that is costing you. 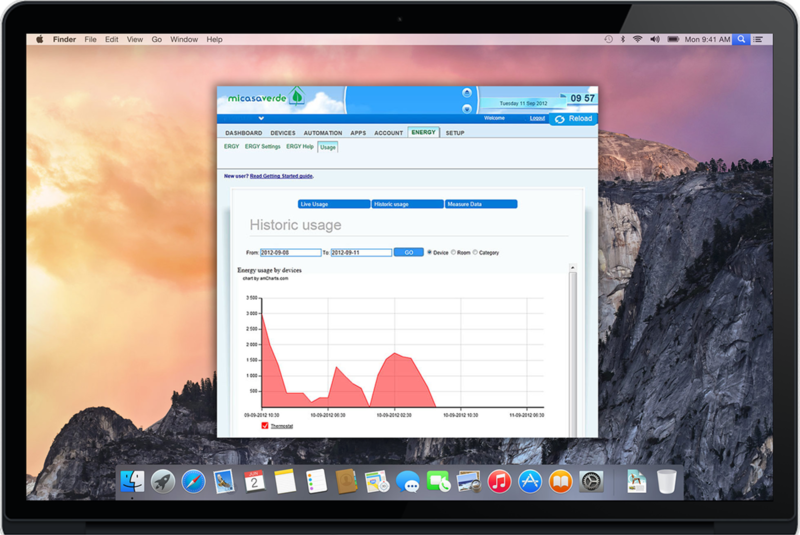 Compatible gateways will also help you store and analyse your historical energy consumption. Smart Switch 6 benefits from nearly a decade’s worth of engineering know-how. But to build something this perfect, we had to start our engineering process from scratch. Designing the Smart Switch 6 wasn’t simply about making improvements, it was about reimaging what the modern home truly needed from a wireless smart plug. Plugs that block multiple power outlets aren’t just inconvenient, they’re annoying. Smart Switch 6 has been designed to reduce the possibility of that happening. At only 60 mm / 2.3 inches in size, Smart Switch 6 can be used without blocking the outlet its installed next to. Operating temperature: -10 to 45. Operating distance: Up to 50 metres indoors or 150 metres outdoors.